It is a municipality located in the Regional Park Sirente-Velino, in the province of L'Aquila, at the foot of Mount Tino, on the Northern side of the basin of Lake Fucino. The finding of a dwelling settlement dating from the Bronze Age and a necropolis of the X century, evidence that the area had been inhabited since ancient times. With the subsequent Roman conquest of the territory, it was included in the "ager Albensis". The County of Celano, developed in the X century and was ceded by Frederick II of Swabia to the Counts of Segni. It became a possession of Frederick of Antioch and subsequently submitted the domain of the Anjou, the Aragonese, the Artois, the Peretti, the Savelli and finally, the Cesarini-Sforza until 1816. 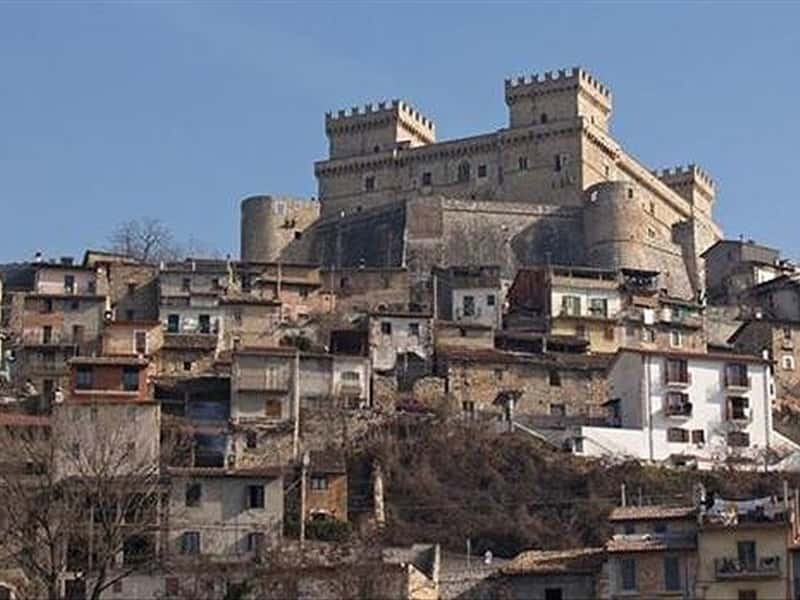 - the Castle, on which work began in 1392 at the behest of Peter Berardi, Count of Celano, and continued until 1463, when Antonio Todeschini Piccolomini, nephew of Pope Pius II, had the works completed. A rectangular shaped building with square towers, it is one of the largest and most important of the entire Central Italy. Built initially as a defensive structure, during the Renaissance it was changed into a noble in residence. The walls and barbican on the South-east highlight its defensive function: the walls are interrupted by eleven shield towers and five round ones; a dry moat bridge presents a double entrance, one of which is surmounted by a machicolation. Today it houses the Museum of Sacred Art of the Marsica area and the Collection Torlonia of Antiquities of the Fucino area. - the Church of St. John the Baptist, the construction of which started in the second half of the XIII century and ended two centuries later. Inside are preserved frescoes of the School of Siena and a wooden choir of the XVIII century. This town web page has been visited 19,633 times.